The city has dismissed worries about the health impact of turf, like those raised by CUNY professor Bill Crain, seen here holding rubber crumbs at Riverside Park. But many of the health questions surrounding turf remain unanswered. Back in the spring of 2002, as Benepe was extolling the benefits of Green Acres, Brigham Young University installed a synthetic-turf athletic field next to a natural- grass one, and football coaches immediately noticed the artificial turf was much hotter than the grass—one coach’s feet blistered through his tennis shoes. On a warm day that June, two BYU professors monitored the fields from 7 a.m. to 7 p.m. and discovered the synthetic turf ‘s rubber and plastic absorbed more of the sun’s heat than the grass did. Synthetic turf reached extraordinary temperatures that were 37 degrees hotter than asphalt and 86.5 degrees hotter than natural turf. When the air temperature hovered around 81 degrees, the turf averaged 117 degrees. When the air temperature reached 98 degrees, the turf clocked in at a scorching 200 degrees. The researchers found the field would cool down when doused with water, but the effects were short-lived: Within 20 minutes, the shocking heat returned. Far from offering a surface that would combat obesity by being available at all times, synthetic turf got so hot, these findings suggested, that it could actually discourage play during the warmer months, when demand was sure to be at its highest. That same year, doctors were cataloging injuries common to synthetic turf, including heat exhaustion. Nationwide, heat stress has been blamed in the deaths of about 30 high school football players during the last decade, though it’s not clear how many were playing on turf. Athletes had long complained about the old carpet-style AstroTurf, with 87 percent of NFL players saying they preferred grass. Synthetic turf was promoted as a safer alternative, but doctors were seeing the same kinds of injuries, including ankle sprains, ligament tears and “turf burns,” skin abrasions due to athletes sliding on the surface. These burns, researchers believed, exposed the players to infection, which could be passed among teammates in a variety of ways, from sharing towels to using the same locker room facilities. One scientist at the University of Missouri called artificial turf a breeding ground for harmful bacteria, leading turf manufacturers to market pretreated antimicrobial fields as well as new chemical solutions and equipment to clean surfaces of sweat, spit and blood. “Regular maintenance of artificial turf is necessary to keep playing surfaces clean,” warned the turf management company Synpro. In 2003, the federal Centers for Disease Control and Prevention blamed turf burn for providing an entry point for the antibiotic-resistant staph infection known as MRSA. The CDC found eight cases of MRSA in five players on the St. Louis Rams, and skin scrapings from those infected pointed to turf burn as the cause. After a St. Louis game that season against San Francisco, some players on the 49ers were also diagnosed with MRSA. Artificial turf ended up playing a prominent role in Mayor Bloomberg’s PlaNYC program which, among other things, called for turning schoolyards into parks. The city’s argument for turf has often stressed its environmental attributes. In 2007, Benepe attacked turf ‘s critics on WNYC’s The Brian Lehrer Show. “There’s a phony environmentalism that says synthetic turf is somehow much worse than so-called real grass,” Benepe said, claiming that natural-grass fields require “lots of chemicals” and “fossil-fuel-burning machines” to mow them. The Parks Department, in fact, has 843 mowers, of which just one is electric. The environmental claims were surprisingly common for a product drawn from scrap tires. FieldTurf Tarkett, the world’s largest installer of artificial turf, told organizations that its reused-rubber content could help them earn the necessary points for construction projects to be certified as green by the U.S. Green Building Council. The Parks Department had long claimed that artificial turf was mostly replacing asphalt lots. But of the Parks Department’s total 111 artificial-turf fields as of early last year, 39 had gone down on asphalt, and 72 replaced grass. The loss of grass bothered Bill Crain, a developmental psychologist at the City University of New York, because he believed nature is essential for city dwellers. “Children need contact with plants and trees to develop a sense of calm,” he explained, citing studies that showed attention-deficit disorders were reduced after kids spent time in nature. He had once collected 600 signatures on an anti-turf petition, but he wasn’t a firebrand. A soft-spoken professor and the author of two books on childhood development, Crain had a philosophical bent, quoting the maxims of Romantic writers like Jean-Jacques Rousseau. His opposition to turf was purely professional, he said, until a sense of urgency grabbed him when, during an April 2006 stroll in Riverside Park, he came upon four new athletic fields. From a distance, the 4-acre swath looked lush and green, but a closer inspection of the soccer field at 107th Street revealed bright plastic strips, almost like Easter basket grass, poking out of a black sea of rubber crumbs. Crain was startled. Scrap tires are a dirty business, he knew, and their disposal is strictly regulated. If they catch on fire, the blaze emits toxins and is difficult to extinguish; a 1983 tire fire in Virginia burned for nine months, polluting the air and groundwater. He decided to pay for a toxicology test, collecting a sample of the rubber crumbs in a juice glass and sending it to a lab at Rutgers University. The lab’s chief was Junfeng Zhang, chair of the department of environmental health and associate dean at the University of Medicine and Dentistry of New Jersey. Zhang found the crumbs did indeed contain toxins, including metals like lead and chemicals linked to lung, stomach and skin cancer. Crain wrote a letter to Benepe. The turf contained toxins, the letter said, and Crain and Zhang wanted to determine whether users could be affected. New tests at Rutgers would employ “advanced laboratory procedures” to find out whether the chemicals could be inhaled, ingested or taken in through skin contact. 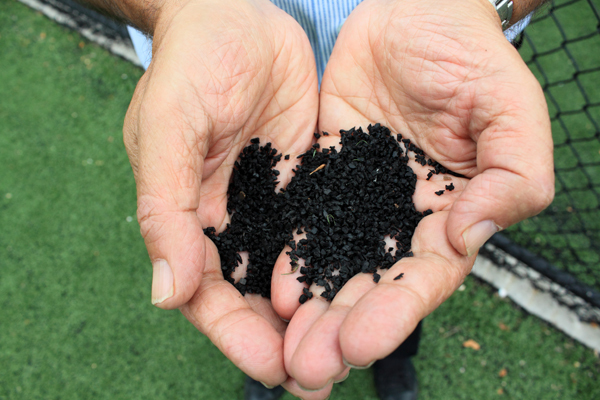 Crain asked for the city’s permission to gather “about two handfuls of rubber pellets that are loose on the surface” from one artificial-turf field in each borough. Crain and Zhang had already applied for a grant to perform the new tests, but they needed the city’s OK to have a shot at getting any money. “It is quite possible that there is no realistic risk,” Crain wrote. “He’s just trying to come up with arguments to keep us from going ahead,” Crain thought at the time. “Cancer is cancer. What difference does it make whether you’re in a rural or urban area?” Crain wrote again to Benepe, explaining that the rubber would be cleaned prior to testing. He never received a reply. He decided to get the word out. In September 2006, the article “Hazardous Chemicals in Synthetic Turf ” went up on a New Jersey environmental activist’s website called Rachel’s Democracy & Health News. The publisher was Peter Montague, a 68-year-old former professor of planning who worked for Greenpeace and ran a hazardous-waste research program at Princeton University. Though Crain and Zhang’s paper was informal, bypass- ing the rigors of peer review, it immediately attracted attention, seeding grassroots movements against artificial turf in states from Connecticut to California. Yet these developments received scant notice in the U.S., even in New York City, which had become the largest municipal purchaser of turf. After a story on Crain appeared in the daily newspaper Metro New York, the city’s Parks Department referred reporters to a pair of different studies exonerating turf: One looked at the carcinogenic dangers of barbecues—PAHs can be formed in the cooking of meat—while the other was funded by the Tire Recycling Management Association of Alberta, Canada. There simply wasn’t much research on the new breed of artificial turf. The European studies raised concerns but were also inconclusive. Critics noted that cancers caused by environmental factors can take years or even decades to show up, while turf proponents dismissed the early examinations as phony science. Crain knew he lacked proof to reach any conclusion, so he wrote another letter, this time to the city’s Health Department, asking for help to conduct more tests. “It seemed to me, as a naive citizen, that this would be a public health issue,” he said, but the agency referred him back to Benepe. “They just passed the buck,” Crain complained. He then phoned Public Advocate Betsy Gotbaum, and an aide in her office was interested. 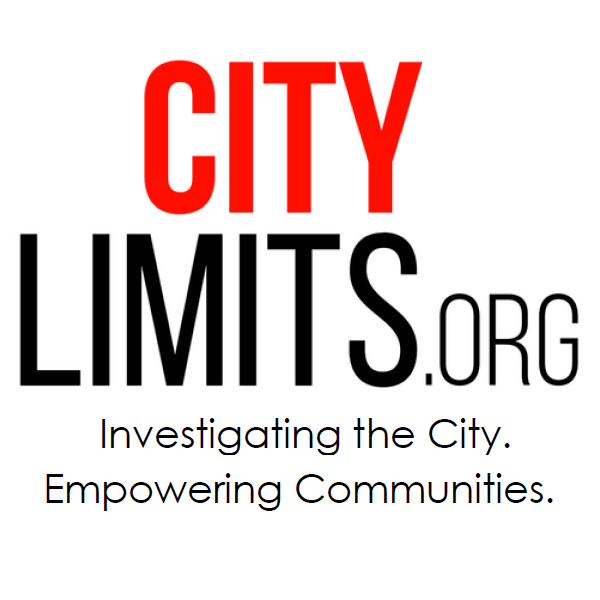 As the city’s Parks commissioner from 1990 to ’94, Gotbaum had overseen massive layoffs due to a dramatic budget cut by the Dinkins administration. Now as the city’s public advocate, she decided to lobby the agency on Crain’s behalf. When Gotbaum returned to Benepe with the grant, he brought in the Health Department’s assistant commissioner of environmental disease, Nancy Clark, a certified industrial hygienist. Clark said the turf contaminants most likely came from an outside source, so she insisted that Crain and Zhang first collect rubber crumbs from an artificial-turf field in another town. In the summer of 2007, Crain was contacted by three mothers in Westport, Conn., who were concerned about turf. On Crain’s behalf, the women approached Westport’s parks director, who donated rubber samples from the town’s new artificial-turf field. Crain brought the samples back to New York and waited for the go-ahead. The wait dragged on. Gotbaum asked about the delay at a meeting with officials from the Health and Parks departments, including Clark and Liam Kavanagh. The officials began to slam Crain. “They called him a lunatic,” Gotbaum said. The insults then turned to Zhang. It’s unclear whether city health officials knew that Zhang had done environmental testing for the state of New Jersey, or that he’d worked with the Intergovernmental Panel on Climate Change. “They completely denigrated the manner in which he did his tests,” Gotbaum said. “They talked about him bubbling water and lighting the stuff on fire to see what came out. They kept saying, ‘We’re scientists—we know. '” Gotbaum asked Clark to speak directly to Zhang and Crain, and a telephone interview was scheduled. It didn’t go well. “She obviously had her mind made up,” claimed Crain, who said they were told the potential health risks had to be weighed against the need to prevent obesity. Crain and Zhang asked the city to stick to the original bargain, but by then they had been painted as “zealots,” Gotbaum said. At the end of the summer of 2007, she proposed a compromise, freezing out the pair in order to get a test done by another party. The Parks Department agreed; the Health Department would oversee the testing. But even with the money in hand, the Health Department was in no hurry to test the turf. It spent half of the grant—$50,000—on an Internet literature review, collecting the findings from previous studies. The report was prepared by TRC Companies, an engineering and construction management company based in Lowell, Mass. Months passed with no sign of the literature review. But a lot happened in that time, as the debate progressed about the potential health hazards of artificial turf using recycled tires. The discussion took place against the backdrop of an unprecedented turf boom: More than 850 synthetic fields had been installed nationwide in the previous year alone. Legislators in California, Connecticut and New York were considering six-month moratoriums on turf purchases while their states paid for research into the rubber infill. Some public health experts backed the breather. “It’s a reasonable step while we wait for more and better information,” said pediatrician and epidemiologist Dr. Philip Landrigan. An internationally recognized authority on environmental threats to children, Landrigan chairs the department of preventive medicine at Manhattan’s Mount Sinai School of Medicine. A panic set in among youth soccer leagues, which pushed to get new synthetic fields before any possible clampdown. Coaches and many parents complained that their kids couldn’t compete against rivals who already had synthetic turf. A fight broke out over the fate of grass playing fields at Battery Park City, where the natural turf had been maintained organically without the use of pesticides or herbicides. The fields were well used, accommodating 775 permits a year, but they were closed in the winter and after rains. Under pressure from soccer leagues, the Battery Park City Authority formed a committee to study the turf issue, and it invited Crain to join. At one meeting, a representative from an Italian artificial-turf manufacturer informed the group that the open health concerns meant he could no longer sell his rubber-infill product in Europe. That’s what brought him to America, the salesman explained, where people were still buying. The Battery Park City Authority now plans to install artificial turf, using coconut husks.